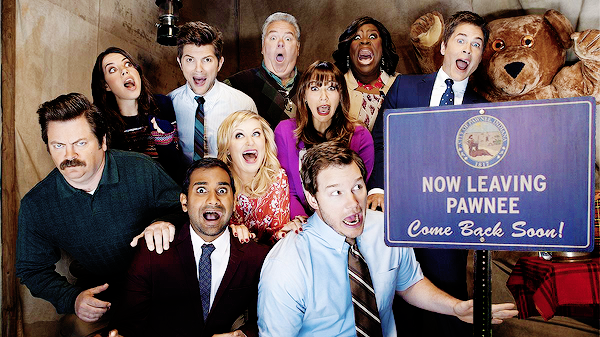 Parks and Recreation is the last remaining of NBC’s beloved, though criminally under-watched, sitcoms from their old Thursday night comedy block, but soon it too, hot on the heels of The Office (ended), 30 Rock (ended) and Community (rehomed), will conclude its run. I have to admit, I write this post with more emotion than can usually be found on this here page. As the finale date draws closer with alarming velocity (anyone ever told you, you’re the worst, NBC? ), I am struck by just how missed this comedy will be. It’s rare that a cast of characters is so universally warm, energetic and loveable, reiterating the message, time after time, that no one achieves anything alone. 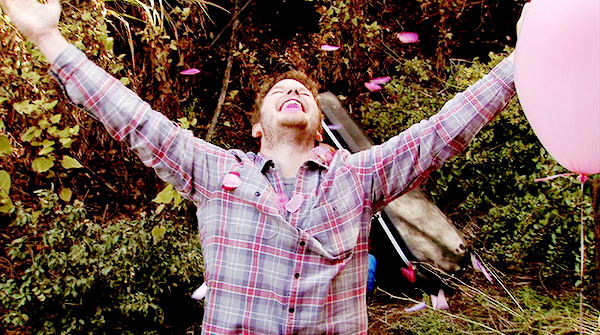 That is Parks‘ heart and soul. If there is one thing to take away from the critically acclaimed comedy, it’s the value of creating rich relationships with every combination of characters that you have in your arsenal. I imagine half the fun of writing this show was pick-‘n’-mixing character pairings for subplots. I mean, think about it. Think about any two characters and, if you’ve seen the whole series, you’ll know their dynamic. From Ben and April (“She’s like the little sister I never had, because the little sister I do have is normal and not terrifying.”), to the mutual respect between Leslie and Ron as they settle their differences over breakfast foods, to the juxtaposition of super-fit Chris and, well, Andy, to the inspiring masterminds behind “Treat Yo Self”, Tom and Donna, everyone fits together and, crucially, provides an endless source for comedy. One relationship above all others really steered the show and that was the friendship between Leslie and Ann, unique in its platonic nature as the focal relationship. Given how female friendship has been portrayed within the media when it’s portrayed at all, Parks was a rare treat, celebrating the way that women can support and inspire one another – often over breakfast food. This started with Leslie and Ann but quickly seeped into every female dynamic the show has to offer: the mentor relationship Leslie has with April, the love-hate-but-secretly-just-love between April and Ann, and the ladies’ casual and constant admiration for Regal Meagle. 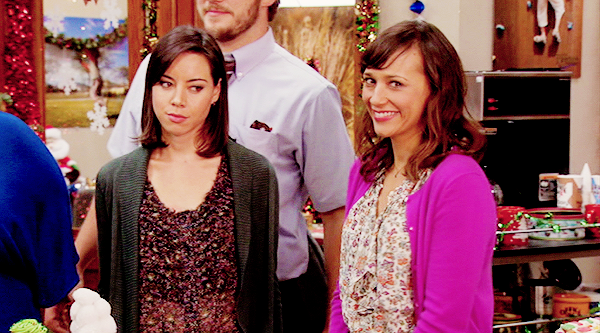 Perhaps my favourite within a damn near flawless ensemble, April Ludgate has been a revelation. Starting out life as the apathetic intern, the series has followed her growth into a hardworking, passionate woman, for whom anything is possible. 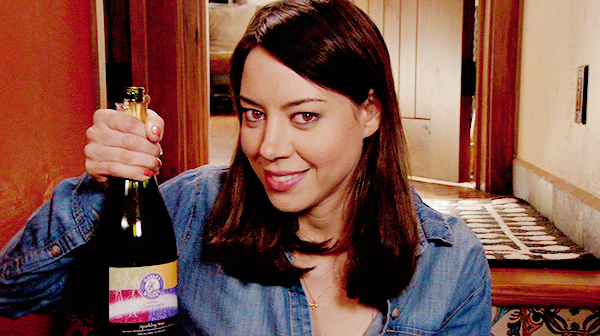 To reduce Aubrey Plaza’s performance to her trademark deadpan would be to underestimate both the actress and the character. Each season has afforded April more layers and, with that, allowed both Plaza and April to realise their immense potential. Her relationships with Leslie and Andy, in particular, have helped her develop, and debunked her internalised assumption that caring only leads to rejection and/or heartbreak. In loving Andy and being loved back, she learned how rewarding it was to care about others and open up. As a result of letting Leslie in, she found a mentor in life and in work, as well as a true, lifelong friend. I’ve found much of April’s development moving as much as humorous, given that the predilection to be angry or apathetic about the world is so entrenched in the minds of young people nowadays, myself included. As a feminist, there are times when I feel so disheartened by the state of things. You turn on the news and it’s inevitably bad, worse and terrible. It’s hard not to want to protect yourself from it by shutting off, by choosing not to care. April’s arc has reminded me of the rewards of not doing that, of letting people in, of fighting for what you believe in and finding things that are meaningful to you. She has inspired me to be inspired. For that reason, I will miss April the most. Undoubtedly, Parks and Recreation presents an optimistic alternative world, but nothing in Pawnee makes me more optimistic than April’s character development. There are many, many shows I’ve watched that have mocked and belittled fan culture in a way that, as a fan myself, I have found disrespectful and degrading. Parks is the exception. Parks doesn’t just thank fans for their loyalty, given its total reliance on a cult following to counter modest ratings, Parks lovingly represents the fans. 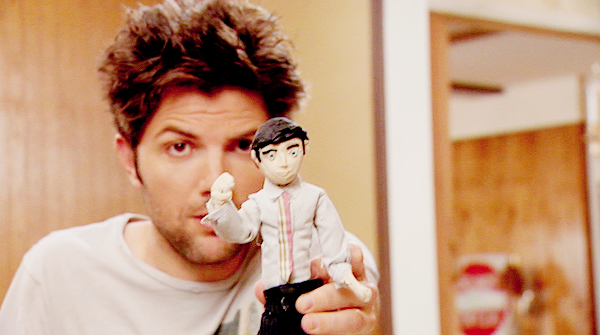 Most of its characters have expressed their love for some aspect of pop culture, but none with more fervour and consistency than Ben Wyatt. He is the show’s charming nerd, from his Star Trek fan fiction writing to his admiration of Fringe’s apparently impressive lack of plot holes. While The West Wing gave an entire storyline to mocking fan culture (‘The US Poet Laureate’, if you’re interested), Parks has spent its entire run celebrating it. You sense that all of the writers are fans; the pop culture references never stop. There’s a sense of fun as mentions of Game of Thrones, Star Wars, Batman and, my favourite, Enchanted (“I watched Enchanted three times to get all the details right and then another two times because that movie is amazing.”) come out of Ben’s cute little mouth. As Ben argues, “Nerd culture is mainstream now, so when you use the word ‘nerd’ derogatorily, that means you’re the one that’s out of the Zeitgeist.” You tell ’em, Ben! Added to his fanboy nature, Ben is a kind, loyal soul and one of the show’s greatest comedic assets (although I couldn’t name a weak link). In the first seasons of the show, it was hard to imagine any man who could match up to Leslie, but as they began their love story, it became clear that, by some miracle, she had found that man. In Ben, Parks managed to represent nerd culture a way I’ve never seen it represented elsewhere on TV (side-eye to TBBT) and a way to overcome the mountainous obstacle of finding a deserving love interest for Leslie Knope. That’s some feat. I LITERALLY never expected to love Chris Traeger the way that I love Chris Traeger. Even though I have a long, well-documented history of not liking Rob Lowe, somehow Chris Traeger is an infinitely entertaining, ever-imploding mess of a human whom I adore. Less emotionally complex and more a total mess, Chris is there to be funny and does it consistently. Whether crying hysterically about how “Everything ends” or telling himself to “Stop pooping”, no one does total breakdown like Traeger. While he was very sweet to characters like Andy, April and Ben, his relentless perkiness was asking to be destroyed, really, and in a town like Pawnee, it was bound to wear out. Laughing at his sporadic breakdowns always steered clear of cruel because you never had any doubt that he would cheerfully bounce back. Let us also never forget the air banjo. Following Chris, the biggest mess of a person you’re likely to find, with Donna seems appropriate because no one has their life together like Regal Meagle. Whether offhandedly mentioning her disposable list of male suitors, treating herself to massages, mimosas and fine leather goods or livetweeting her life, Donna is everything we should all aspire to be, I think. 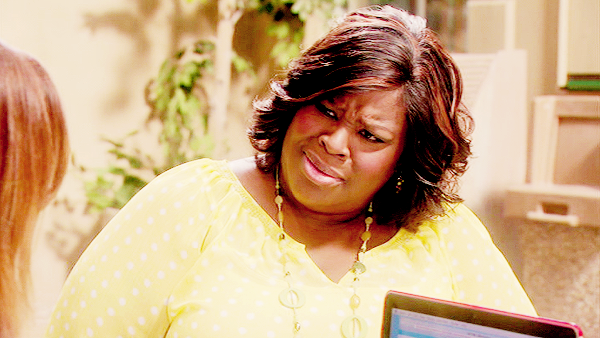 Every subplot that involves Donna is better for it. All Donna has to do is burst in at the end of a scene singing ‘Time After Time’ and a scene is instantly 5000x better. I call it The Donna Effect (see also: Donna Moss, Donna Noble). She’s honestly amazing and the more scenes we get of her in the final season, the sadder I am that time is running out. To pick one particular thing that Donna has brought to Parks, I would name her ability to pep talk the other ladies. She showed Ann how to date (“Are you Nell? From the movie Nell?”), she taught Leslie and April important lessons about being a boss and, on her wedding day, delivered one of my favourite quotes about the Parks’ ladies ever: “Knope, you’re a softie, but on the inside, you’re a straight-up boss. April, you’re the exact opposite. Y’all inspire me and I love you.” I think she’s a genius. When can we get a Meagle spinoff? At first glance, you’d be forgiven for viewing Jerry as the new Toby Flenderson. He’s the obligatory everybody-hates character, passively taking everybody’s vitriol with admirable patience. But there’s something different about Jerry. While Toby was divorced and alone, his trip to Costa Rica having gone so terribly, Jerry’s life outside of work is a dream. He goes home to life with Christie Brinkley and their picture-perfect daughters, all of whom adore him to an almost uncomfortable degree. Another difference between Toby and Jerry is, while Michael’s hate for Toby is unwavering, you get the feeling that underneath it all, the Parks gang do love Jerry. When Donna rigs the name cards at her wedding to have Jerry’s real name, which is Garry, so as to inadvertently get the other characters to start using the right name, it brings that slightly tiresome running joke to a heartwarming close. I somehow managed to bring this celebration of Jerry back around to how wonderful Donna is. Whoops. Considering her preoccupation with friendship occasions and overboard gifting, her hoarding tendencies and her inability to filter herself, often Leslie is the most identifiable character for me. She’s fiercely passionate on all matters, as exemplified by her yelling, “I am super chill all the time!”, to which her husband replies, “Sometimes, when we disagree, you’re so passionate, I feel like I’m arguing with the sun.” While this is often played to comedic effect, Parks manages to avoid belittling her passion and that is key for me. It has long been desperately uncool to be characteristically enthusiastic about things, while apathy is seen as the height of sophistication. Leslie is enthusiastic about all areas of her life, and that’s what I love the most about her. She cares. She cares about her friends, her waffles, her job, feminism, Joe Biden, the Harry Potter series. She cares so much that she made April, the resident representative of youth apathy, want to care too. Leslie’s devotion to what is important to her, the boundless energy she finds, is infectious. What’s not to be inspired by when it comes to Leslie Knope? She’s got her dream job working for the National Parks Service, she married the love of her life, is raising triplets, is a loving, supportive friend, a formidable feminist force and a fangirl. 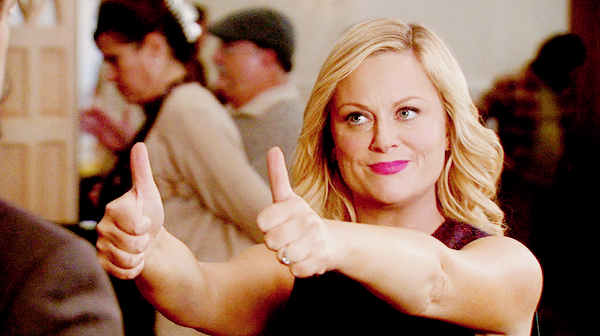 I’m just scared for the world that we will no longer have Leslie Knope to guide us. “Give me all the bacon and eggs you have. Wait, wait. 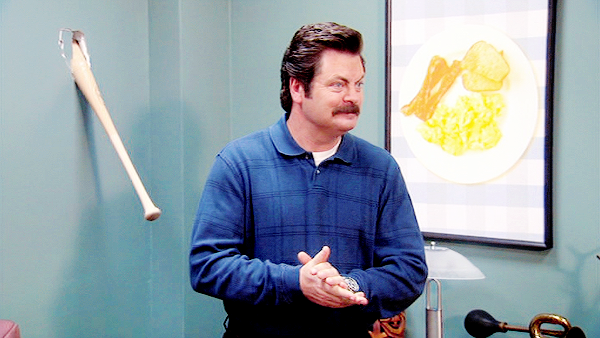 I’m worried what you just heard was, ‘Give me a lot of bacon and eggs.’ What I said was, ‘Give me all the bacon and eggs you have.” Do you understand?” If you do, then you pretty much understand everything you need to about Ron Swanson. He knows what he’s about. He’s a steadfast friend to a special few, with basically no time for anyone else. Though it would be easy to make a villain out of Ron, the show never does, choosing instead to explore the hilarity and absurdity of a Leslie-Ron friendship, with their contrasting approaches to government work the basis for much of their conflict. I would get into his sweet relationships with Andy and April if this blog wasn’t already approaching War and Peace, but Ron’s love for Leslie so perfectly exemplifies the way this show finds warmth in even the coldest-seeming character. It’s about love and friendship. Anyone who watched the recent ‘Leslie and Ron’ episode will know the emotional power of their friendship and its ability to produce tears at will, aka anytime Ron says something heartfelt to Leslie. Honestly, if you didn’t cry at the montage, you are dead inside and might want to get that checked out. File under: characters I never expected to love as much as I do. There are two things I wanted for Tom’s happy ending: Lucy and a successful business idea. While still sad that that successful business idea wasn’t Rent-A-Swag, I am so happy with the direction of the character in the final season. The time-gap has afforded Tom more growth than anyone else. After years of failed business ideas (Entertainment 720, Snake Juice, Tommy Fresh, Eclipse, Know Ya Boo), I always worried that the writers were so taken with creating weird business ideas for Tom that they would never allow any of them to flourish. Thankfully, they proved me wrong with Tom’s Bistro. He can finally have the empire he (sorta) deserves, along with the only girl that ever seemed right for him (I Love Lucy isn’t just a show, it’s a lifestyle, my lifestyle). Even more importantly, as proven by the “Treat Yo Self 2017” storyline, Tom and Donna’s friendship has endured and will live on for all time. While I’ll miss him, with his social media obsession, his entrepreneurial spirit and the way he says the word “puppy”, I am content that Tom is getting the perfect ending. 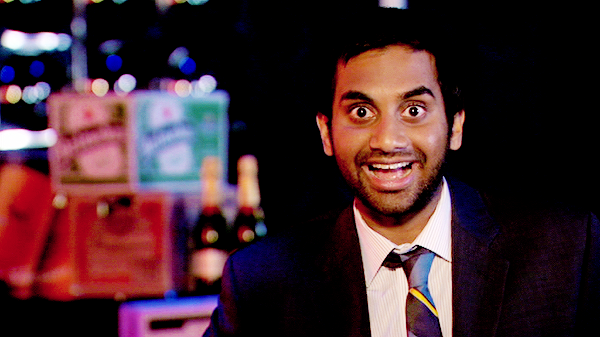 What will you miss most about Pawnee’s finest? Cue ugly crying. This was perfect, you’ve started a chain of crying it seems. I will miss this show immensely and in less than 6 days it will all over be over and I’m not sure how I’m going to handle it. What a great post! Parks and Rec is my favorite TV show ever and I successfully brainwashed my best friend to think so. Now that I look at it, everything about this show is perfect. The plot, the characters, the humor… I can’t even choose my favorite characters. I’m really devastated that it’s ending soon. I somehow wish we could get a spin off from one of the characters. Whoever it is! Thanks! I’m glad you connected to it. I’m getting sadder and sadder the closer we get. There are so many great potential spinoffs in that crazy world. Beautifully put. Thank you for such a well-written farewell. 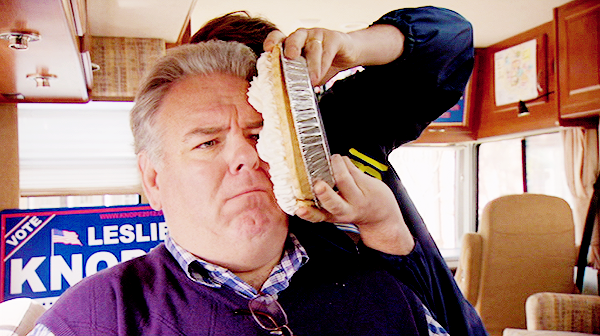 You articulated losing Leslie Knope in all the ways I was feeling but couldn’t express. I feel like without her, all the women left on TV are either 20-somethings in a bar, white suburban SAHMs or miserable doctors. She was so different from any other woman I’ve ever seen on TV. What will we do without her?